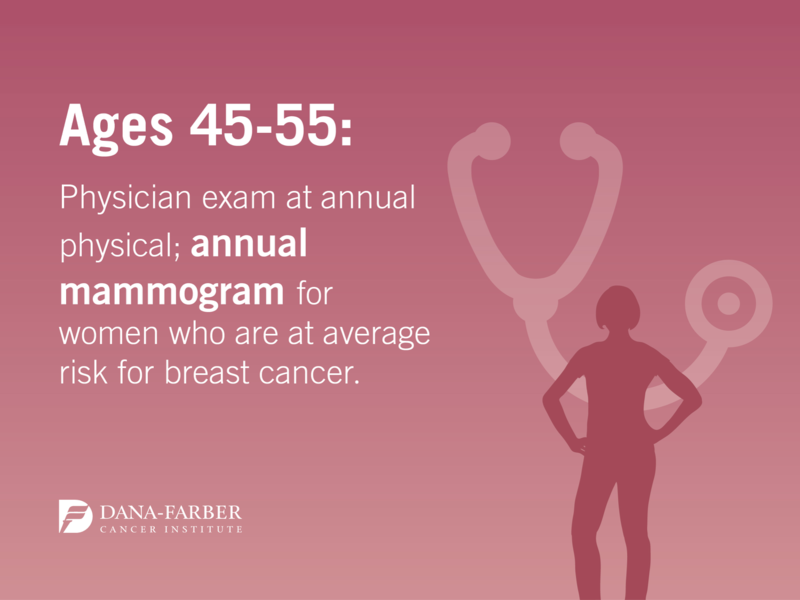 It’s never too early or too late to work toward being your healthiest you. 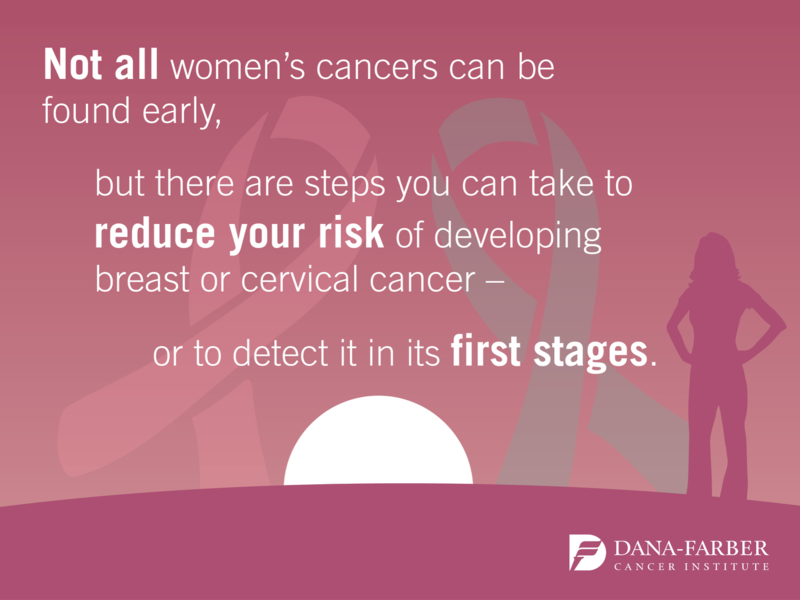 That’s the motto of National Women’s Health Week, an initiative developed to help women of all ages take control of their health. 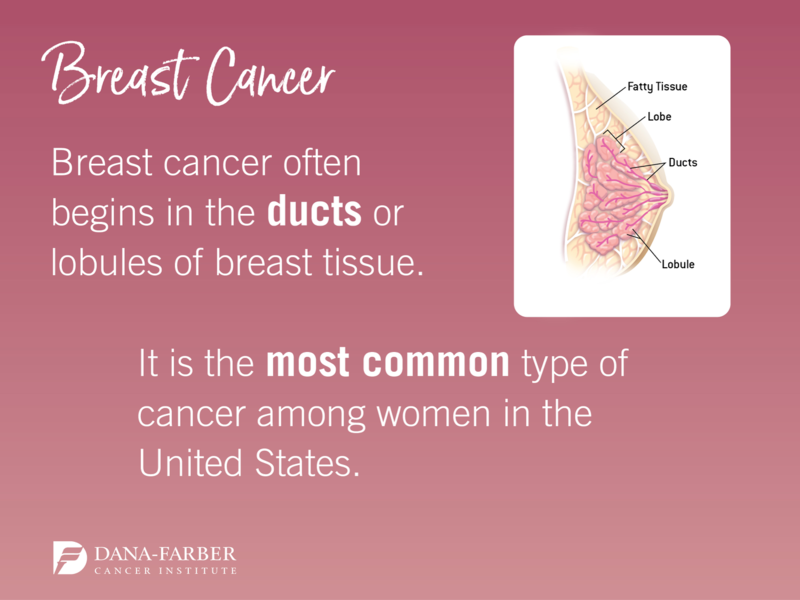 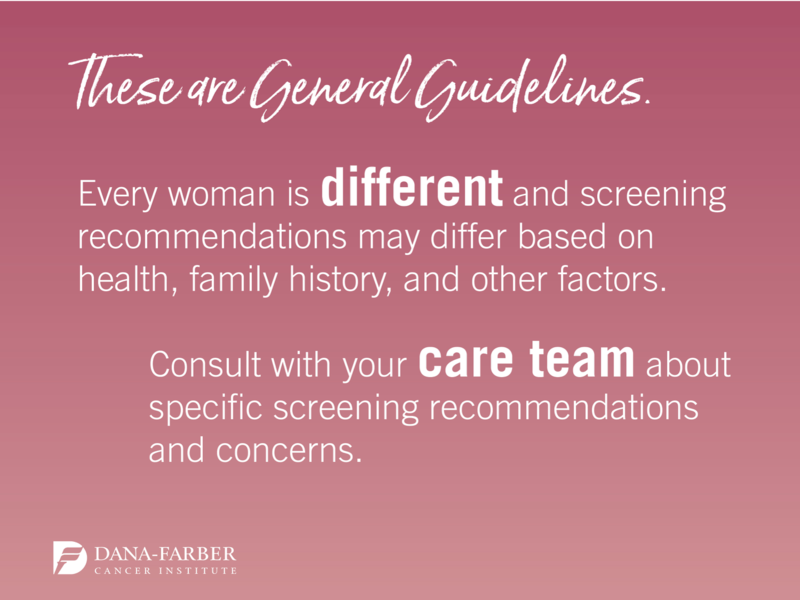 Following proper cancer screenings is an important part of maintaining health and well-being – and reducing your risk of developing certain forms of cancers. 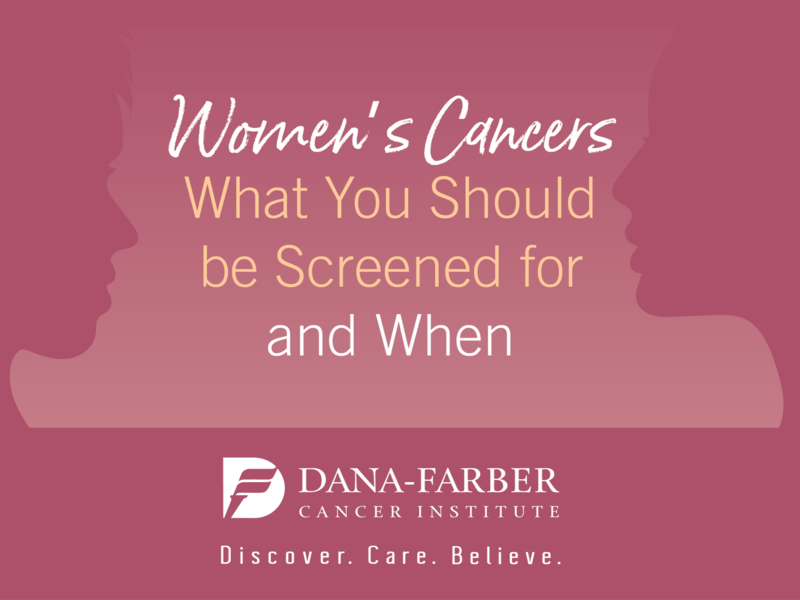 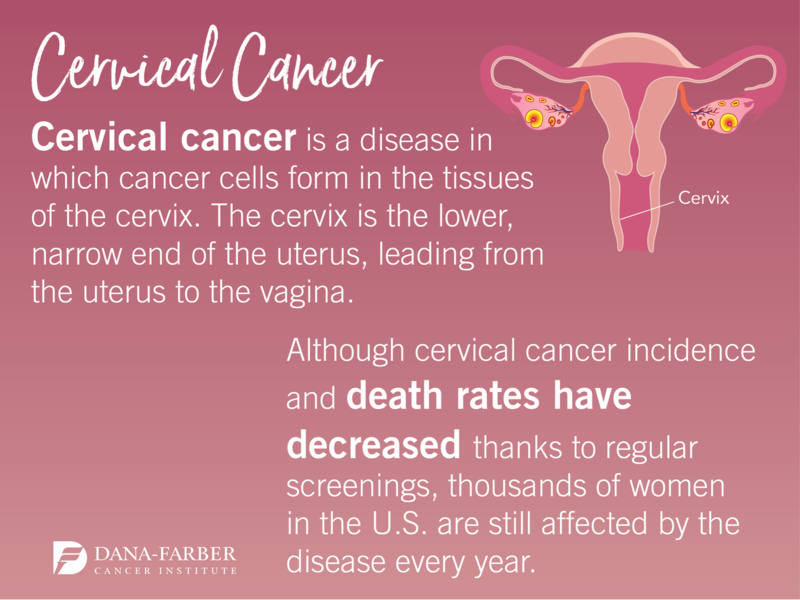 View the slideshow below to learn which women’s cancers you should be screened for, and when. 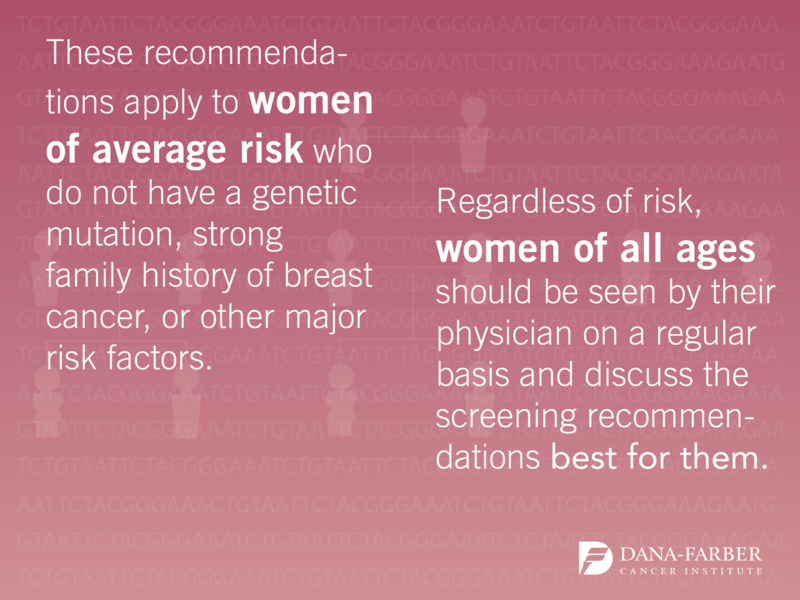 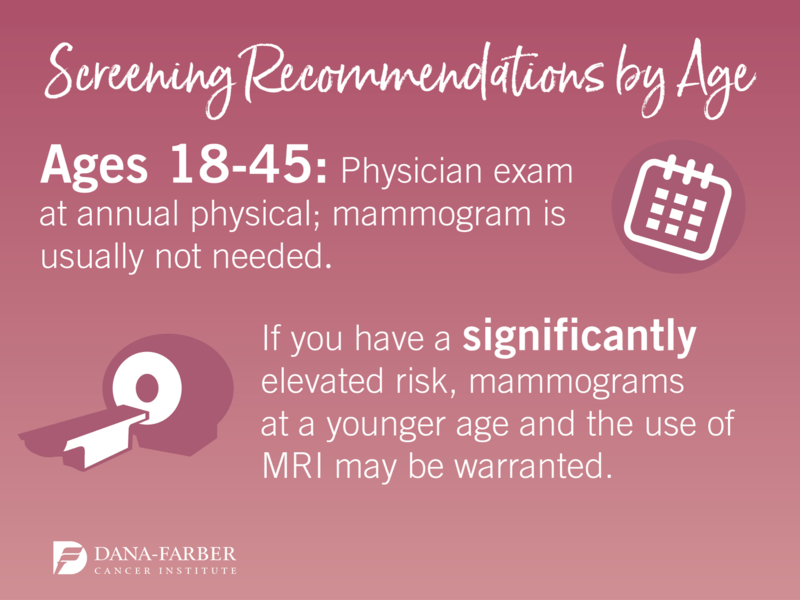 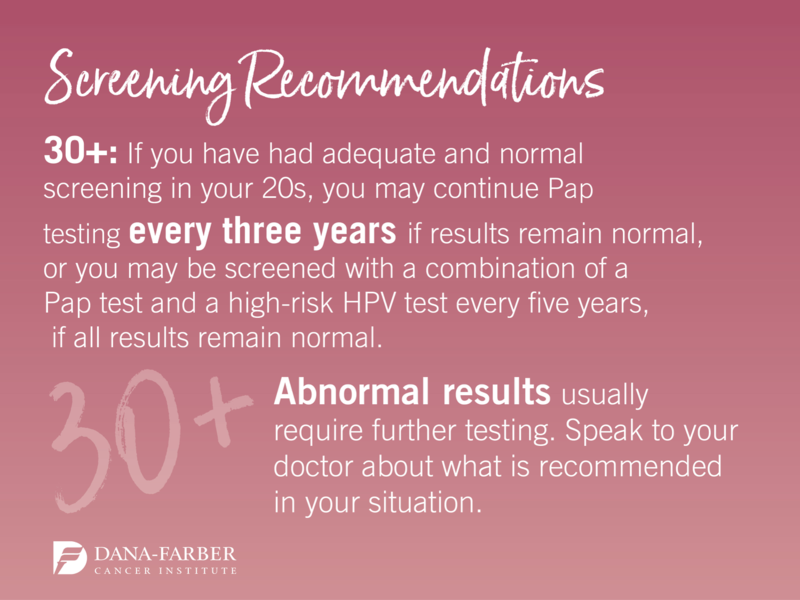 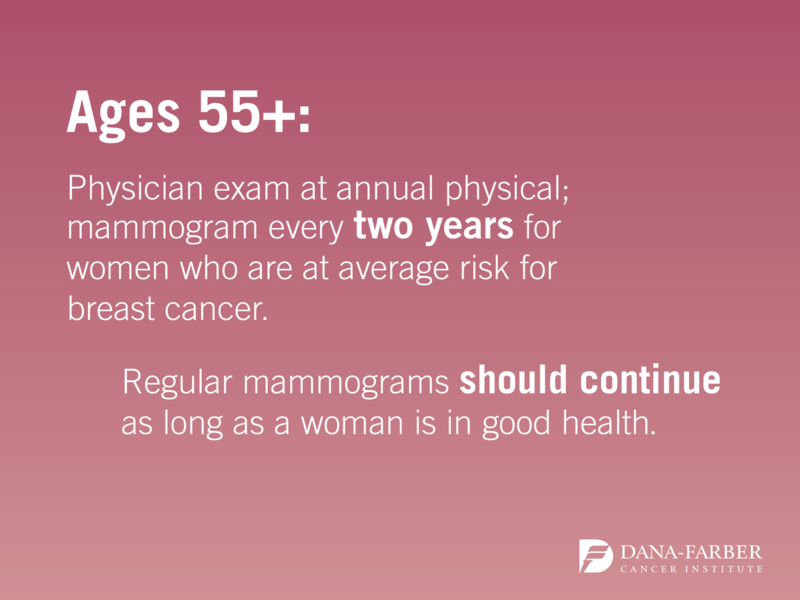 For a full list of cancer screening recommendations, visit the Dana-Farber website.